The Ice Age is coming, and I do not mean the upcoming winter season! 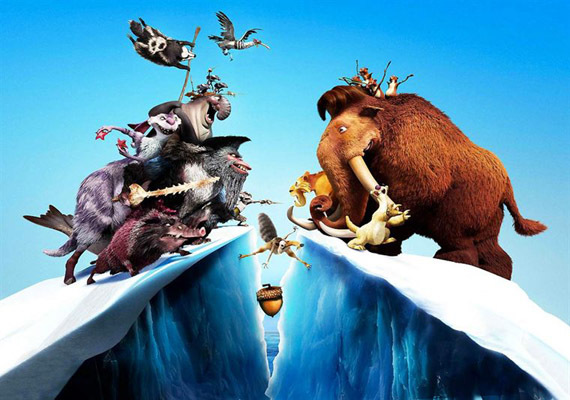 Ice Age: Continental Drift is sliding its way to DVD and Blu-Ray on Dec 11. In this fourth installment of the popular franchise, Many, Diego and Sid sail on a new adventure as their continent breaks of and is send adrift. As they explore their new surroundings, they meet interesting new sea creatures and even battle with pirates. The talented voices of Ray Romano, Denis Leary and John Leguizamo return in this brand new adventure that is sure to please new and returning fans of this franchise. ● Scrat Got Your Tongue? Gerry and I thought this movie was cute as it has some humor in it geared towards the adults watching as well. However, it may be too long for smaller children to keep their attention span. The movie last about 90 minutes, and we even thought it was a bit long. 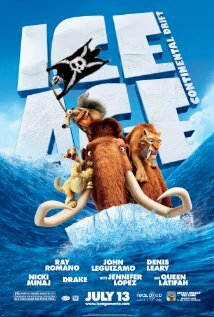 It was good for a laugh and if you liked the other Ice Age movies, you'll want to see this one as well.